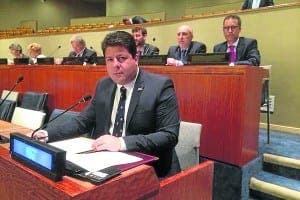 CHIEF Minister Fabian Picardo has blasted the United Nations for ‘consistently thwarting’ Gibraltar’s fight to be removed from the list of non-self-governing territories. In a fiery New York speech, the Rock’s leader warned the UN that the Spanish were acting like the ‘last colonists of Europe’ in ignoring Gibraltarian wishes. He also emphasised that Gibraltar has repeatedly invited the Fourth Committee of 24 members to send a mission to the Rock, but has never even received a formal response. 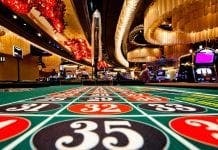 “We are better prepared to be removed from the list than many who have already been removed,” he insisted. His address came just days after Spain’s foreign minister Jose Margallo told the UN’s General Assembly that Gibraltar is a colony which ‘plays unfair’. Gibraltar waters 119 times in September alone. “There is no impediment to our delisting other than Spain insisting that the inalienable principle of self-determination should not apply to us as a people,” he said. “Our nation is the third largest in the world in GDP terms per capita. And our financial services are among the most highly regulated in the world. “Our sales of tobacco are also the most highly regulated in Europe, despite the annual criticism. “But on each occasion I have come here I have heard, like today, the baseless accusations of the distinguished Ambassador of the Kingdom of Spain,” he added. 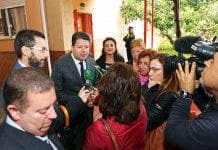 In an equally feisty speech earlier in the week, Margallo complained to the UN that Gibraltar’s government is damaging the Campo de Gibraltar, Spain’s treasury and the European Union. 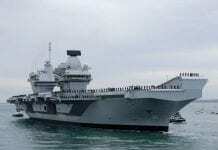 Spain needs the distraction of Gibraltar to assist with Rajoy’s election campaign. Let us hope a new leadership will be in power soon and that Spain and Gibraltar can work together for the betterment of all the people in this region, rather than this tiresome charade. It seems this guy Pigardo does not know the concept of colony. Colony: an area that is controlled by or belongs to a country and is usually far away from it. Examples: Islas Malvinas & Gibraltar. Both are integral part of Argentina and Spain respectively, but controlled by a foreign colonist country. Never heard of Islas Malvinas, I think that must be a made up place from Game of Thrones. In Uk there is not separation of powers; so UK is not a democracy, is a parliamentary system . In USA and France there are separation of powers; they are democratic systems. The idea that UK is one democracy was a propagandistic invention for to convince to the people of USA for fight in the First and Second World Wars. ¿Are You saying that Gibraltar must belong to France, because she is a democracy? your talking rubbish, give it up. Pablo has failed to mention either Ceuta or Melilla! Your arguments are too poor.